I am excited to look back on 2017 and equally excited to plan for 2018! This year has been a great one for me in terms of growth as an artist. I have continued in areas I’m interested in and explored new ones. Here are the details. 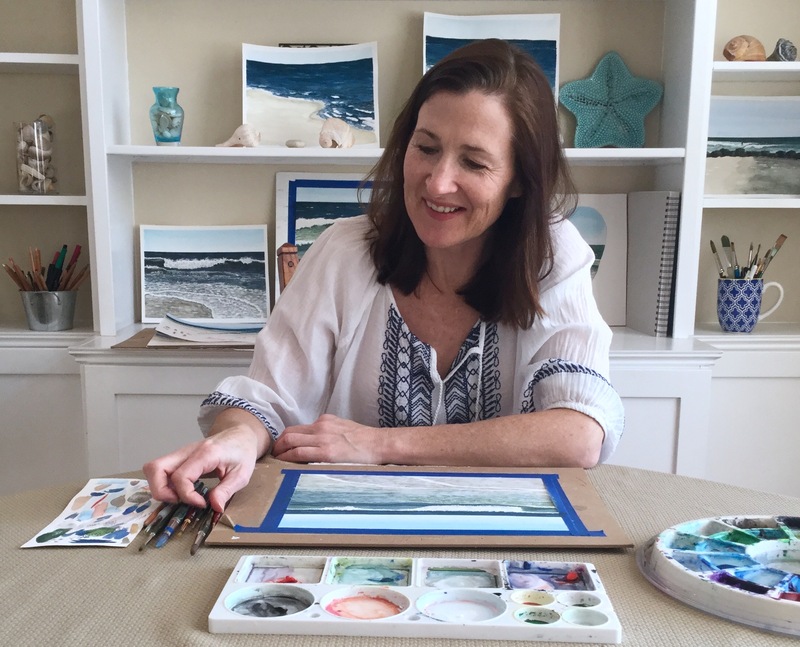 Painting the ocean in watercolor – I started this project in January and have continued with it all year. Capturing the ocean in watercolor has been a goal of mine for a long time. I’m so happy with my progress and feel that working with this subject will be something I continue with for a long time. See some of my favorite ocean watercolors here. Designing fabric print patterns – After first dabbling in this in 2015, 2017 was the second year I committed to designing a pattern each month – although not always on schedule! I designed my most popular fabrics this year, including “Swimming Laps.” I plan on continuing this in 2018 and am already experimenting with some new ideas. See my collection of fabrics on Spoonflower here. Collaboration – I love designing fabrics but can’t sew. This year Mary of the Daily Sew graciously agreed to create something with my fabric and write a post about it. Mary created an awesome drawstring bag, a free downloadable pattern, and in the end sent me the bag! Mary went above and beyond. You can meet the nicest people online! I hope to have more collaborations in the new year. Tuturial Posts – I wrote a few step by step posts this year and was thrilled to have one published on doodlewash.com. I’m such a fan of Charlie O’Shields and the watercolor community he has built. I enjoy sharing what I’ve learned to help others and I’d like to continue writing these types of posts. My Creative Collection newsletter – I started the newsletter in March and am loving this new form of creativity. I love curating all the things inspiring me, and hearing back from those that enjoy the newsletter. Click here to sign up. Daily challenges – I wasn’t as diligent with my InkTober sketches this year, but am very committed to the second year of my Christmas countdown. Challenges can really motivate me. I’ve heard family and friends actually say that they can’t wait to see what I’ll post next. To hear that people are actually engaged in what I’m doing is thrilling. I’ll definitely do the Christmas countdown next year and now that I’m thinking about it a countdown to summer would be really fun! 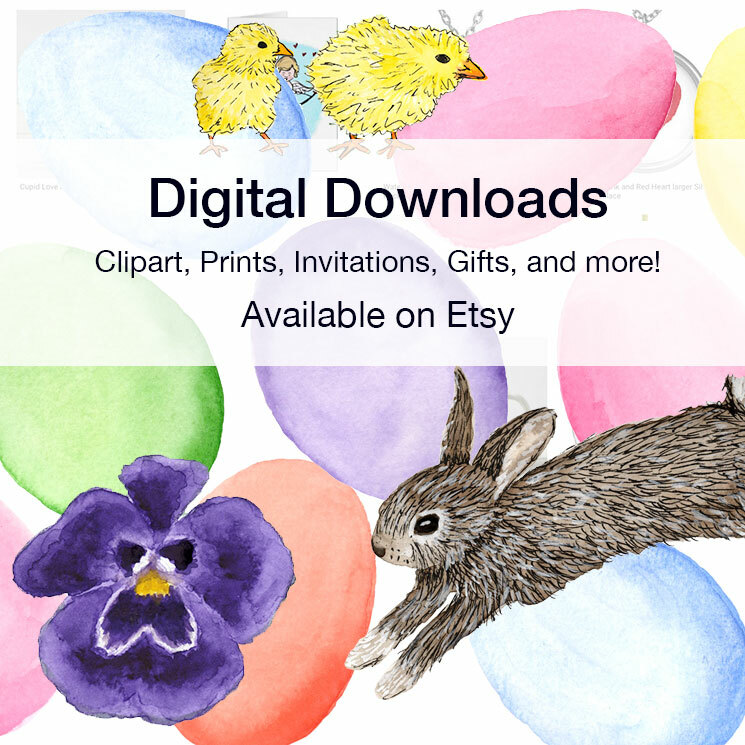 Selling prints online – In August I launched my online shop selling prints of my watercolor ocean paintings. It was always a goal to sell my work in some way, but I first needed 3.5 years of self discovery as an artist before I felt ready. I guess my goal was always to have a cohesive body of work. I finally felt I had that to offer after painting the ocean for months. And as such a beach lover, the work felt so very me. Visit my shop at shop.eileenmckenna.com. One thing that is very exciting is having prints made at larger sizes on canvas. Writing 500+ blog posts – I never expected when I started the blog, to hold myself accountable creatively speaking, that I would enjoy writing so much. I really love sharing my thoughts on a specific project or creativity in general. And I love the online friends I’ve made over the years. Thank you for your support! My artwork on products – A friend wanted a card of a Christmas tree I painted last year. I uploaded it to Zazzle, so she could order it and got bit by the bug of uploading my designs and seeing them on cards, ornaments, and mugs. Some of the ornaments were quite popular (at least with my mom). This is a fun thing I’d like to continue with. Visit my Zazzle shop here. Enamel Pins – Last year I had my nutcracker illustration made into a pin. Based on the support – mainly from friends and family – it wasn’t a monetary loss, so I was encouraged enough to have a beach pin made. Needless to say, the beach pins weren’t a huge hit, or hit of any kind. But I had them made, not because I expected them to be a seller, but creatively I wanted the illustration to be a pin! That being said, when you outlay money and don’t make it back, it puts a damper on your creative mojo. So that’s probably the end of the pins for me. See my enamel pins here. Connections – Just this month, I’ve been featured on two blogs with other creatives. One opportunity was an “in real life” connection I made with my friend’s sister-in-law, who I knew was a creative and a blogger and had wanted to connect with for a while. Erin Andrews is the Interior Designer behind Indigo House Interiors. Read her post “A Coastal Inspired Holiday.” Erin is a talented designer and such a great writer! I’m very excited to have someone local that I can meet for coffee and talk about creative projects, business, and blogging! The second feature was on Alisa Burke’s blog. Alisa is a freelance painter and mixed media artist, with a very popular blog. When I read that she was looking for artists to feature on her blog during the holiday season – not for a fee but to give back, I was like, “wow!” I applied and was accepted to be included! Read Alisa’s post “Shop handmade this season” here. I applied to be included in another publication, but was not accepted “at this time.” I tried not to be discouraged by the rejection, but to celebrate the victories I had, and celebrate that I’m putting myself out there and plan on continuing to do so in 2018! I’m proud of all I’ve accomplished in 2017, and think it’s important for us all to look back and see how far we’ve come! I made “my creative resolution” at the start of 2014. That is four years that I’ve kept my resolution and have continued to challenge myself within this resolution every year. It has brought a lot of joy to my life and I’ve accomplished things I never would have achieved if I hadn’t made that initial resolution and committed myself to doing it. I’m excited for 2018! Categories: Resolution | Tags: creative year, my creative resolution, year 2017, year in review | Permalink. I’m so happy for you Eileen, it has been a pleasure watching your progress and viewing your beautiful creations. Thanks you Sharon! I appreciate your support and encouragement along the way so much! Thanks so much Jill. I enjoy yours as well and appreciate all your comments and support!